It sounded a bit preposterous, so Slate’s Dave Weigel looked into the group last week and found that, in short, the group does not and never did exist. The names were so over-the-top, so linked to terrorism in the Middle East, that it was clear I was talking hypothetically and hyperbolically. No one could take seriously the idea that organisations with those names existed — let alone that a former senator would speak to them. The next day, the story about “Friends of Hamas” popped up on Breitbart. Shapiro wrote that the White House hung up on him when he called to ask about the allegation, supporting his claim that it did not deny the allegation. “The story as reported is correct. Whether the information I was given by the source is correct I am not sure,” Shapiro told Friedman today. The “Friends of Hamas” story drew considerable attention and pick-up from right-leaning publications, including The Gateway Pundit, The Washington Times, RedState, and The National Review. HH: Well, let’s stay focused on Friends Of Hamas. Obviously, that would be a support group for a terrorist organisation. Can you imagine voting or not filibustering anyone who’d received support from supporters of a terrorist organisation? RP: Like I say, it’s very troubling. And I’ve just seen the press report, so I’m going to have to look at what the response is, what the group is, and that kind of thing. But it is very concerning. 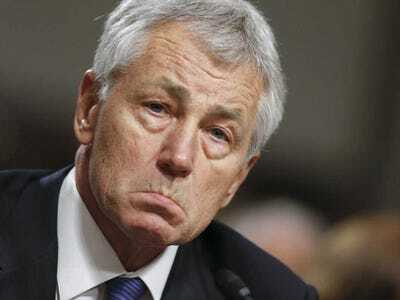 Since the original “Friends of Hamas” story was written, the media has downplayed or ignored the myriad of borderline anti-Semitic Hagel comments regarding Iran and the State of Israel, as well as the “Jewish lobby.” They have deliberately obstructed news coverage of Hagel’s well-documented supported base among friends of Hamas. Instead of asking Hagel to release the requested documents, the media has attacked Breitbart News.